In an effort to curb the dangerous trend of vaccine avoidance, the Liberal government in Ontario wants parents seeking vaccine exemptions for their kids to attend a mandatory education session. It’s a good idea, but getting anti-vaxxers to change their opinions will probably require more than that. 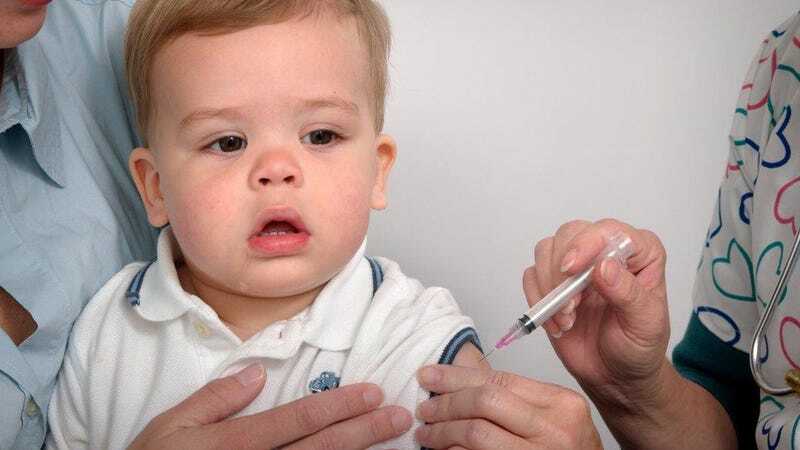 The Liberals in Ontario are pursuing an amendment to the Immunization of Schools Pupils Act that would require anti-vaxxers to attend a science class at their local public health unit. Which is a damn awesome idea. It would do anti-vaxxers well to learn about the latest science, how vaccines work, and why their reluctance to vaccinate their children puts other children at risk. Anti-vaccination beliefs cause actual harm, as witnessed by the recent measles outbreak in both the United States and Canada. We need to attain so-called “herd immunity,” to immunize enough people that no sustained chains of transmission are possible. This would protect us from some of the worst blights, like diphtheria, tetanus, polio, measles, mumps, rubella, pertussis (whooping cough), and meningococcal disease. The trouble is, Ontario’s proposed education sessions will likely fall on deaf ears. Many anti-vaxxers actually know how vaccines work, and they know the arguments in favor of vaccinations. But they remain resistant to modern medicine. The reason, says Durham University anthropologist Thom Scott-Phillips, is that many anti-vaxxers are drawn to what psychologists call “naïve” or “folk” theories. These memes, he says, are particularly “sticky” and hard to shake off. Exposing anti-vaxxers to the science is a great start, but it’s surely going to require a larger cultural shift to change things in a meaningful way.